Launched in 1895 in Paris by Alessandro Berluti, the eponymous menswear label has a long heritage of being the dandy reference for style. Worn by Frank Sinatra, Robert DiNiro, and Yves Siant Laurent to name a few. Berluti was a brand known for leather shoes and custom bespoke suits. On a trip to Paris I had an appointment on rue Marbeuf, by luck, the Berluti atelier and store were next door. Could I resist? No! I walked in for a moment of fashion admiration. It is brand I plan to add to my closet. Belgian Designer Kris Van Assche is now head of the house. The former Dior Menswear designer, is a graduate from Antwerp’s Royal Academy of Art. Assche’s appointment as head of the Parisian brand is one I am cautiously happy about this because I think his minimal styled approach could work, male classicism mixed with streetwear influences. 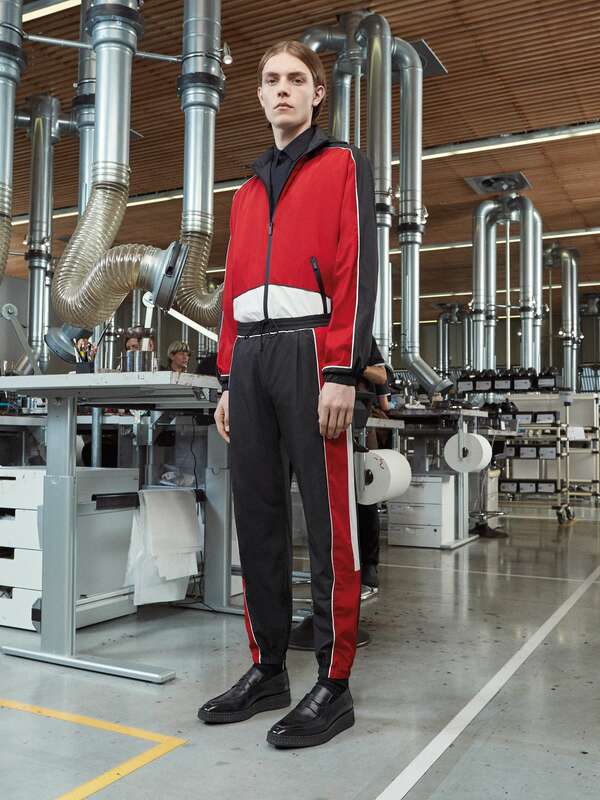 This preview capsule collection gives me hope, the first full fashion show will be be shown at the upcoming Paris Fashion Week Men, nothing over the top, staying with the strengths. The colors scheme is reds, black and white, and tailored suits. I am still not a fan of the chunky trainer look, maybe it is a generational gap, but Berluti has introduced them. I could also do without the over the top branding. Fashion is a business based on trends, the brand has to cater to what buyers want, and “big” “show your brand” is “in” with consumers. I am waiting for January 2019 to see if Berluti + Kris van Assche are a team made in fashion heaven. It will be very interesting. Separator image Posted in Fashion and tagged with berluti, Fashion, mensclothing, Mensfashion, Menswear, pfwm, shoes, Style.